If mountain climbing is not your thing, you may never have reason to fear catching High Altitude Sickness. However, even at a relatively low level of altitude above your norm, your body may find it difficult to operate with a thinner supply of oxygen than it’s used to. The result can be the above-noted sickness and its companion Traveler’s Diarrhea. This was on my mind when I joined a group this past December, to travel to Nepal to take a mild climb up to the famous Mount Everest Base Camp. Before we began our climb, our group was outfitted not only with suitable clothing, but also with medications to alleviate any discomfort we might feel at a high altitude. Quite simply, if we humans venture up to the unaccustomed level of 2400 metres or so, our system needs to acclimatize itself. One way is to cut the journey into easy steps of 500 or so meters, with a good rest between each step. The symptoms of High Altitude Sickness are less obvious. Common symptoms include headache, loss of appetite and trouble sleeping. It feels like a hangover. More severe symptoms may include vomiting and dizziness, feeling confused, an inability to walk straight and having blue or gray fingernails and lips. It also turns out that your physical fitness has no bearing upon your ability or inability to fall victim to the sickness. 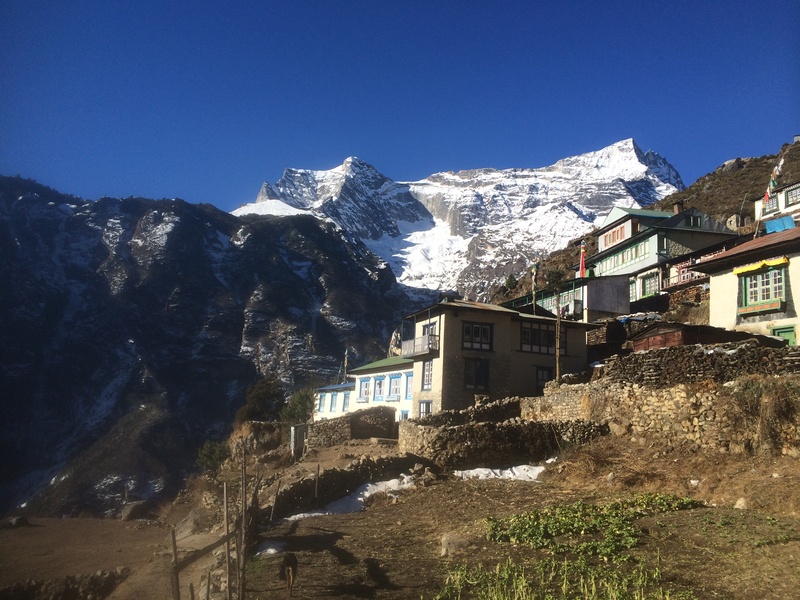 However, as we flew from the capital city of Kathmandu to Lukla, a guide gave us a tip as to how we could avoid being ill – we should eat a lot of garlic. Garlic thins the blood and improves blood flow. So, I stuffed myself with garlic nearly every meal. 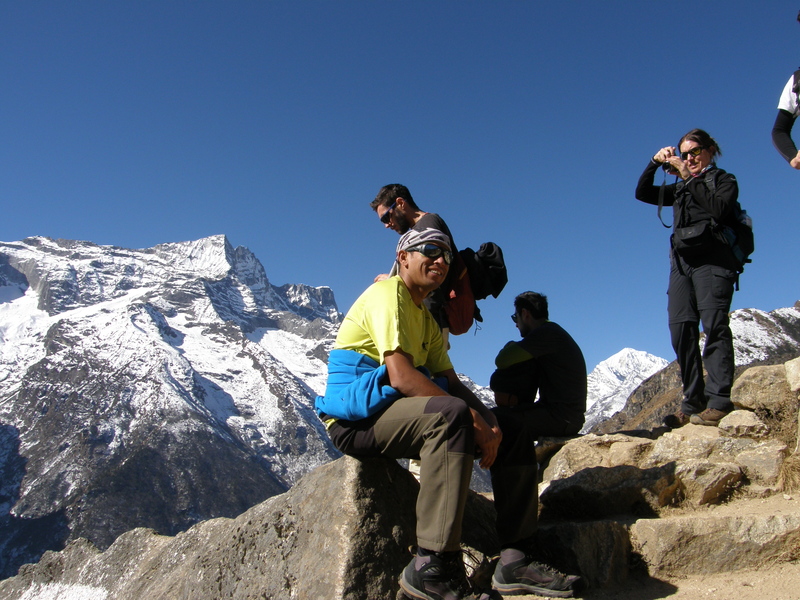 The trip to the Everest Base Camp took about eight days. I am happy to report that I didn’t suffer any discomfort from high altitude sickness. Perhaps the garlic did its job. By the way, if you and garlic are not friends, ginkgo biloba, ginger, proper hydration, avoiding alcohol and eating digestible meals apparently also help. This entry was posted in Nutrition and tagged garlic, high altitude sickness, Kathmandu, Lukla, mount everest, natural remedy, Nepal. Bookmark the permalink.